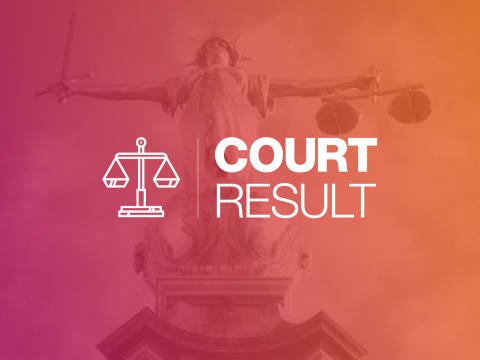 A teenager who threw flammable packages onto the M3 motorway causing huge disruption for thousands of motorists, has today (Thursday 12 July) been jailed. The charges are in relation to two incidents. The first incident happened on Saturday 16 September, when it was reported that there was debris in the southbound carriageway of the M3. Officers attended the scene but very little was found and the road was quickly cleared of any debris. The second incident happened on Saturday 23 September. Again, it was reported to police by members of the public that there were items on the southbound carriageway of the busy motorway near Winchester. Officers who were first on the scene on 23 September assessed the situation and immediately called for support from specialist officers – including the explosive ordnance disposal (EOD) team - to assess the items. Colleagues from the Counter Terrorism Police South East were also called in to assist with further assessment of the materials found on the road. Due to the complex nature of this investigation, even in the very early stages, the motorway had to be closed for several hours. Senior Investigating Officer Detective Inspector Lee McClellan said: “This investigation was complex in its nature and involved significant specialist resources from the start. “The teenager responsible for the main incident caused chaos for the motoring public of Hampshire and beyond, and disrupted a key busy road network for many hours. The teenager also pleaded guilty to two counts of blackmail and seven counts of non-dwelling burglary in relation to separate incidents. He has been jailed for four and a half years, and will serve a further four and a half years on licence.